Clarksville has the best of both worlds: It’s a quaint, quiet Austin neighborhood with unique homes, diverse residents and plenty of history, but it’s in the center of the city and only a stone’s throw from downtown’s many attractions. Clarksville was founded in the 1870s by freed slaves, and due to its historic nature, the neighborhood has been protected from the harried development happening elsewhere in Austin. The area remained a predominantly African-American neighborhood throughout most of the early 20th century. However, beginning in the late 1920s, city leaders enacted policies to encourage blacks to move to east Austin. 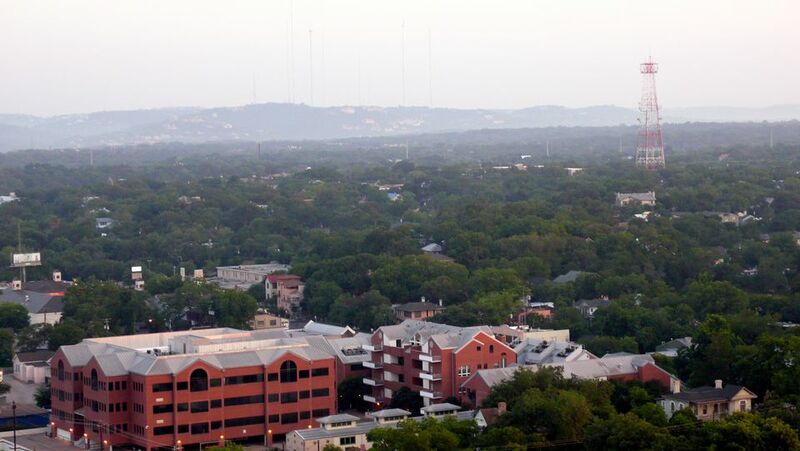 The policies were essentially designed to deprive the African-American residents of most city services as a not-too-subtle way of pressuring them to move to east Austin. The neighborhood was almost paved out of existence in 1968 when the Mopac Expressway led to the destruction of 33 homes on the neighborhood’s western edge. In fact, it wasn’t until 1975 that this neighborhood, just a few blocks from downtown, received the most basic of city services: having its streets paved! Only a year after the Austin City Council approved funds to improved the neighborhood’s streets and sewage system, a proposed east-west thoroughfare threatened to decimate the rest of the neighborhood. While the core of the neighborhood survived, these policies and rising home prices ultimately forced many of the African-American residents to leave. Several of the historic homes remain, but a few new houses are going up as well. The streets are hilly, there is plenty of greenery, and there are many restaurants and shops accessible by foot. Clarksville extends from MoPac to North Lamar Boulevard (East to West) and extends from West 6th Street to West 15th Street (North to South). Clarksville borders downtown, so all of the clubs and restaurants are just minutes away. It’s also just around the corner from 6th Street and Lamar, which contains the popular shopping area that includes Whole Foods and Amy’s Ice Creams. Biking is a very popular way to get around within Clarksville and the nearby areas. There are so many restaurants and attractions nearby, that for some Clarksville residents, walking is an easy way to get around the area. However, to get to other parts of the city, driving is most convenient. If you prefer to ride the bus, Capital Metro Route 9 passes through Clarksville. If you get stranded downtown or can’t find a designated driver, a quick cab ride to Clarksville is inexpensive. Clarksville is an eclectic urban hub in the heart of the city, so it attracts people who love to be in the mix of things. Clarksville has a good blend of apartments, condos and homes. The cozy homes attract young families, the condos are populated with young professionals, and the funky apartments are popular with students. It’s a hip area and is home base for much of the city’s creative crowd (there are many art galleries in Clarksville), and it’s a very fun place for singles. If you enjoy walking, you will love strolling through Clarksville’s hilly streets. Clarksville Park and West Austin Park are two small parks in the neighborhood, and each contain wading pools that are open in the summer. If you’re looking for a larger park, Zilker Park is only a few blocks south, and contains hike and bike trails, beach volleyball courts, large open fields and Barton Springs Pool. Also, just a few blocks northeast of Clarksville is the Shoal Creek Hike and Bike Trail, which is very popular with cyclists. If you love to garden, you'll enjoy Clarksville's community garden. Clarksville is full of cafes, coffee shops and restaurants, especially along West Lynn. Jeffrey’s, at West Lynn and 12th Street, offers innovative fine dining. It’s pricey but worth it for a special occasion. Cipollina, also at West Lynn and 12th, is a beloved Italian bistro where you can dine in or take out. There are many other popular places to dine and drink, such as Nau’s Drugstore, a genuine 1950s pharmacy that serves up traditional soda and milkshakes. The creators behind the oddly named Peached Tortilla food truck and restaurant plan to continue the odd naming tradition with Bar Peached, which is set to open in early 2019. The bar will focus on clear liquors such as vodka and tequila. In addition to fancy custom cocktails, Bar Peached will serve a variety of Asian fusion dishes with a hint of Southern American influences. You can expect Korean-style steak tacos alongside fried chicken dishes. The restaurant will be housed in a remodeled historic bungalow. The space itself is fairly intimate, but there is also a small outdoor dining spice. Clarksville has been around for more than a century, so many of the homes are quite old. Regardless, land value here has been steadily increasing, so you may end up with a fixer-upper if you are on a tight budget for a home. The average cost of a home in Clarksville in 2016 was $950,000. For those who want to live here but can’t afford a home, consider purchasing a condo or renting an apartment. But even a condo in this neighborhood may be as high as $600,000. Clarksville’s proximity to downtown means that it is now extremely popular among the Airbnb crowd. The neighborhood offers a wealth of rentals ranging from large historic homes to small condos. The city of Austin continues to battle with state legislators over the rules regarding rental properties in Austin. While Austin has passed rules aimed at improving safety for renters, the state government has more of a libertarian approach and has repeatedly overruled Austin laws. If you’re visiting, just make sure you understand the latest rules and regulations. Safety is rarely a concern in Clarksville, however. It’s routinely lauded as one of the safest neighborhoods in Austin.